The D’Orbigny Meteorite provides amazing visuals no matter how the specimen is prepared. Whether looking at a thin section or gazing at its surface, the observer will be amazed at the natural beauty of this ancient fragment of the Solar System. 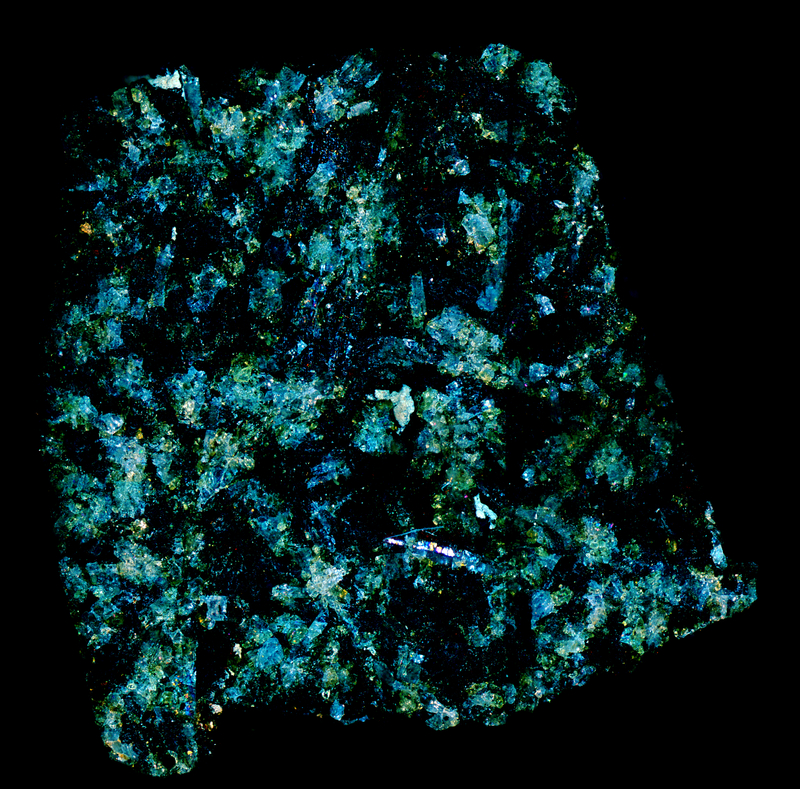 The panorama photomicrograph displayed here was taken with a small piece of the D’Orbigny meteorite under cross polarized reflected light. For comparison, see these thin section photomicrographs: D’Orbigny 1 and D’Orbigny 2. Link to pictures of the main mass.